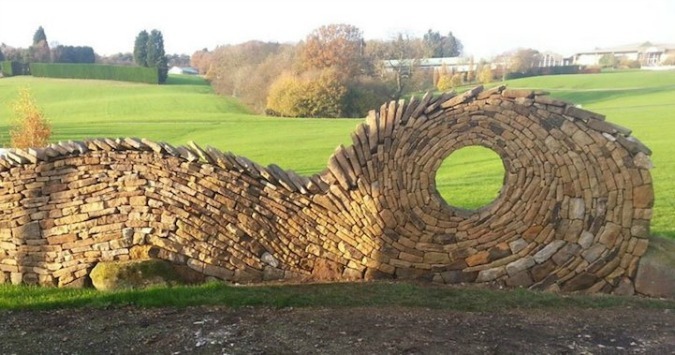 Johnny Clasper’s hypnotic free-form stonework is a swirling spectacle that garners its fair share of attention, and rightly so. 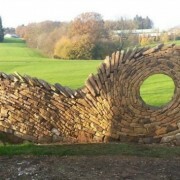 The stonemason’s passion for his craft is apparent in every detailed design. 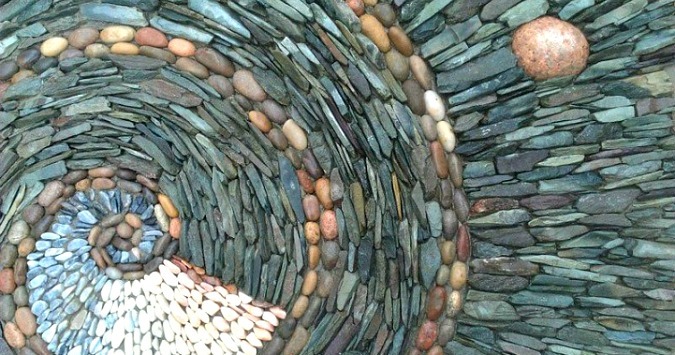 From drystone sculptures to pebble mosaics and stone balancing acts, Clasper has a skill for transforming the commonplace material into works of art. The artist credits his upward trajectory on a passion for stone that carries him in many different directions. (source). 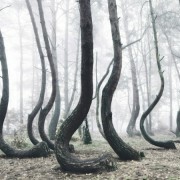 In northwestern Poland, close to the village Nowe Czarnowo, lies the Krazywy Las-forest, which roughly translates to “The Crooked Forest.” No one knows exactly why the trees grew the way they did, and with that uncertainty all the more theories have arisen, varying from rational to spiritual ones, from tales about Nazis to tales about witches. The mist gives the already macabre forest an eerie, almost horrorlike quality, one that is only fed by its own myth. 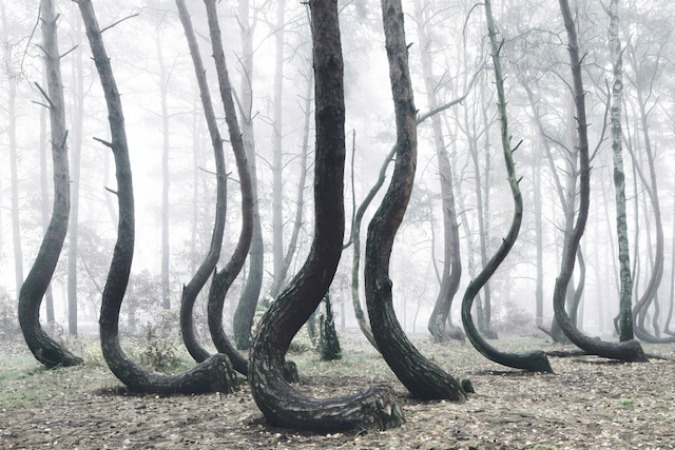 The trees were planted during the start of the World War II by the German army, but it’s not clear whether they are the ones responsible for the unusual growth of the trees. 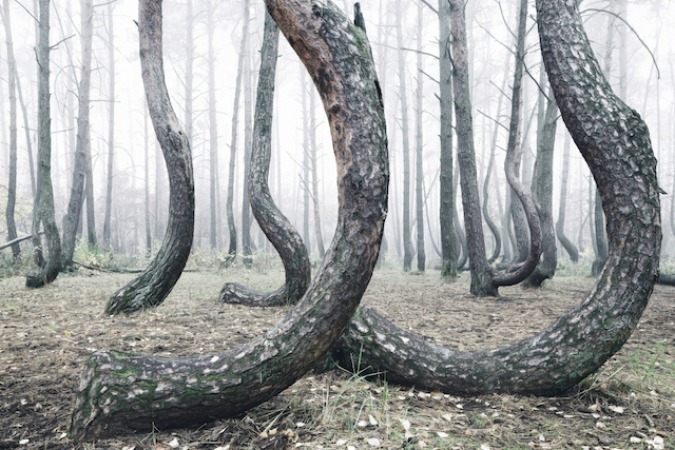 This month the German landscape photographer Kilian Schönberger drove to Poland to capture the mysterious forest in his aptly-named photo series The Crooked Forest. (source). 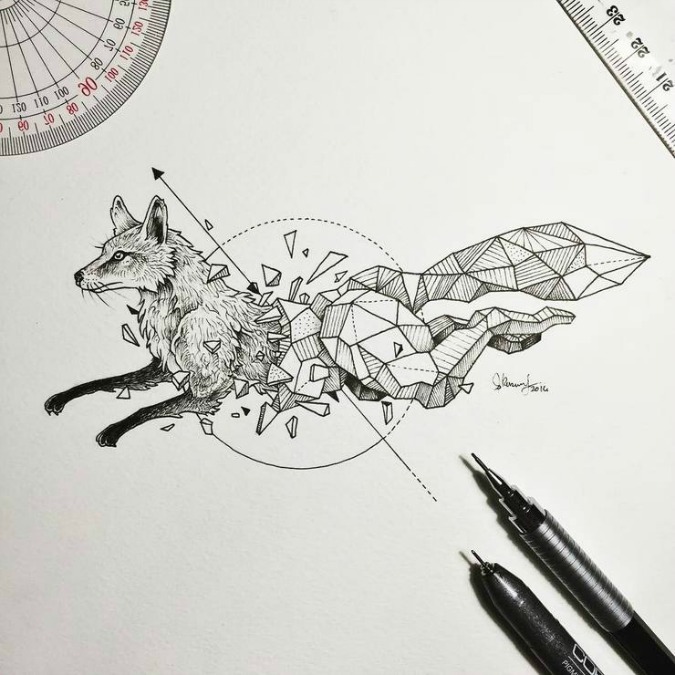 Filipino ilustrator Kerby Rosanes’ Geometric Beasts series imagines Earth’s most majestic creatures breaking out from polygonal crystal chrysalises with a satisifying crackle. Whether you interpret it as a rise against humanity’s tendency to trap and impress members of the animal kingdom, or a fantastical scenario a lá the ressurrection of the stone creatures in C.S. Lewis’ The Lion, the Witch, and the Wardrobe, it’s a formula that works. 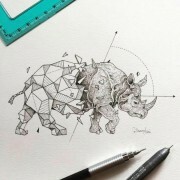 Each animal, from a ram, to a lion, to a T-Rex, brings more joy from Geometric Beasts‘ simple conceit. (source). 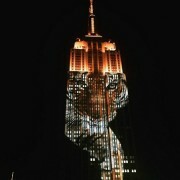 The iconic Empire State Building in New York City was transformed into a moving tribute to endangered animals around the world. This spectacular light show, called Projecting Change: The Empire State Building, was organized by director Louie Psihoyos and producer Fisher Stevens of the Oscar-winning documentary The Cove, a film that explored dolphin hunting in Japan. Endangered creatures both large and small were depicted on the 33-story structure, including a black rhino, a humpback whale, and a bald eagle. 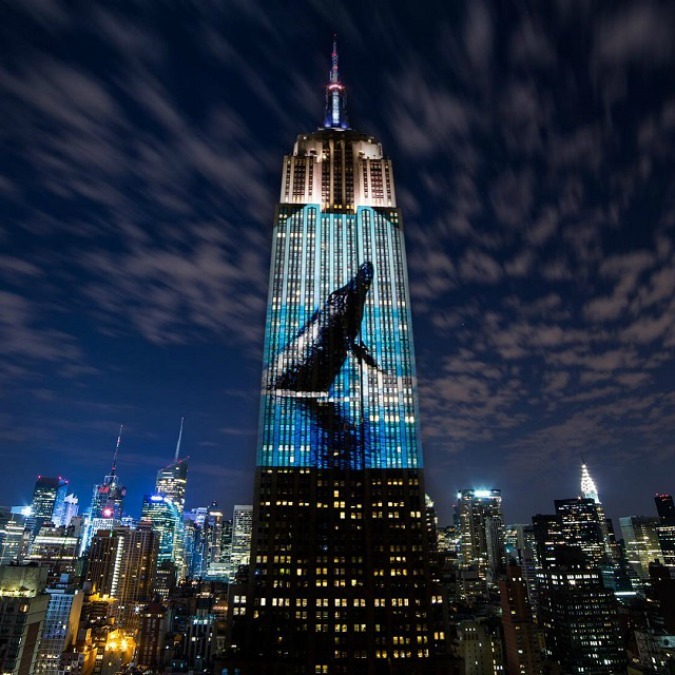 The projections served as a companion to Psihoyos’s documentary, called Racing Extinction. 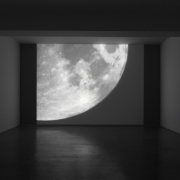 Producing the awe-inspiring sight was no easy feat — 40 stacked, 20,000-lumen projectors were placed on the roof a building on West 31st street. 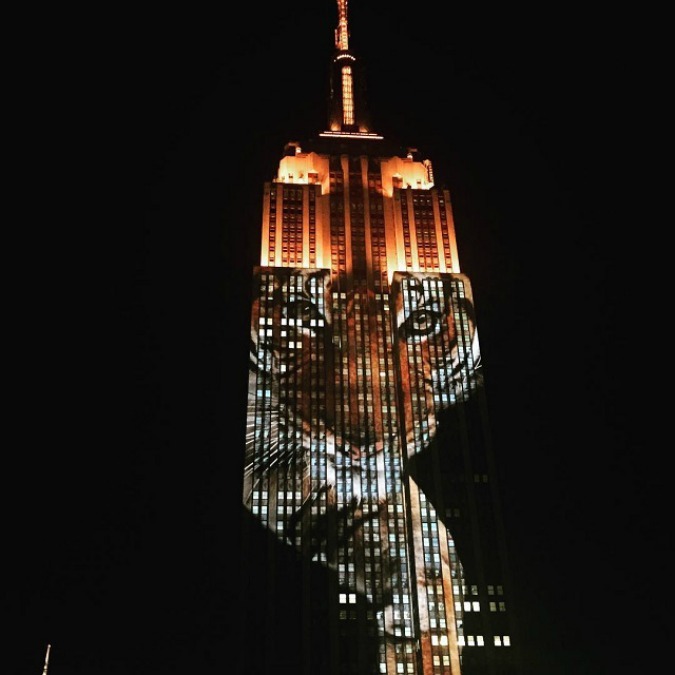 Together, they turned the Empire State Building into a shining beacon of hope for these voiceless animals, acting as reminder of how little time some of these species have left. (source).